The Capitol Hill Arts Workshop has chosen long-time Wednesday Studio artist Linda Norton as its artist of the month for July. 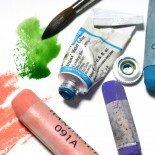 Check out Linda’s watercolors, pastels, sketches, and books on her website. This entry was posted on July 14, 2016 by wisemarian in Pastel, Watercolor.